We finally had a chillier than normal (read: in the 60s F), which tells me that soon, the dang mosquitoes will go back in hiding for another 6 months. 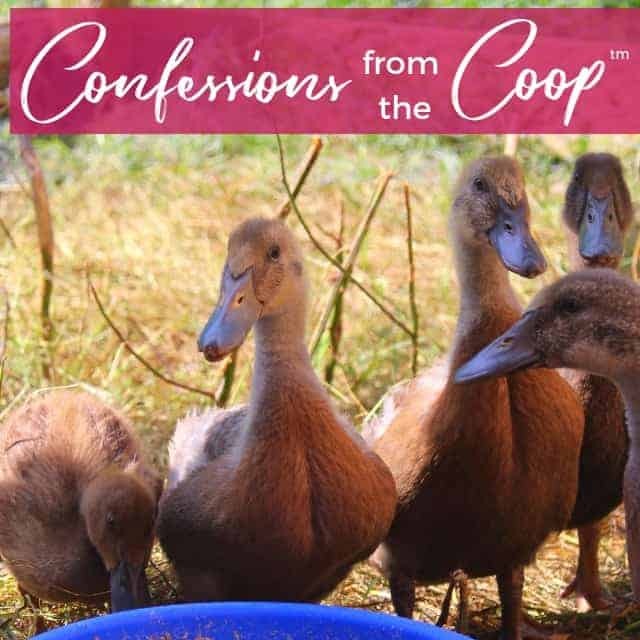 I started putting the finishing touches on the duckling coop (they’re WAY happier to be out of that tractor and near a big pool of water for splashing), and in the video, all you see is Larry and I swatting at mosquitoes, LOL! The video of what we have so far is almost complete – hopefully, it gives you some inspiration. The building, that is – not the mosquito swatting. We’ve completed most of the repairs on the main run and the duckling run – which means roofs are next! 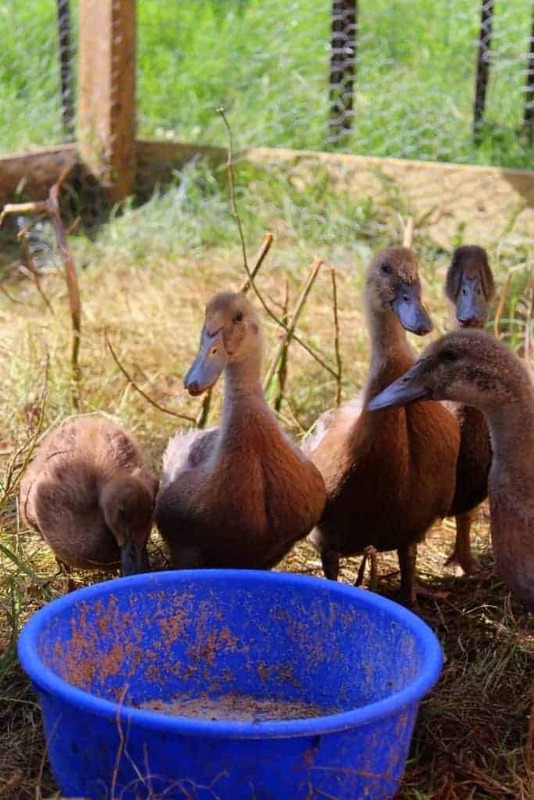 The duckling run has a high fence, and the wire extends about 1 foot into the floor of the pen to deter predators, so I don’t need to worry about a full roof for them – just a secure shelter where they can sleep and stay safe. 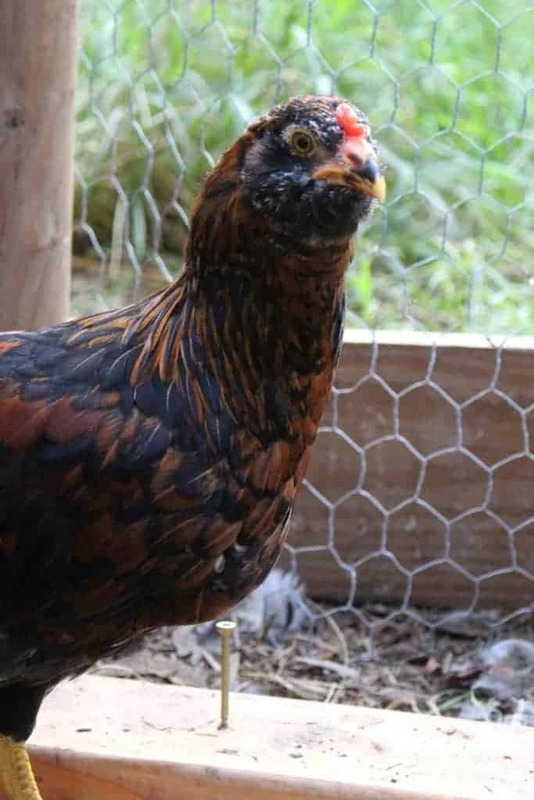 Up next is the shelter – for now, they’ll come into the coop at night, but very soon (meaning, after I buy some 2x4s, lol) there will be a run in for them. When they’re full grown, we can easily expand the run to accommodate them. I’m dying to see what their final feathers will look like – the tail feathers are just starting to peek through. I think we might have a couple that feather out black. The chicken run definitely needs a roof. The fence is 8 feet high, but the hens can fly 8 feet. And get mauled by roosters, dogs, or whatever critter is passing by. So, I’ll be getting some simple trusses, then adding chicken wire on the top. Part of it will be open to the sun and part will have a solid roof so they can get out of the rain and sun. I’m pretty sure we have predators still running around – I think my next product review will be those predator lights. Speaking of predators, for 2 days, one of my chicks went missing. They’re in the coop full time because they’re too big for any of the tractors and too small to free range while we redo the run (yes, for the 3rd time – Dahlia the goat got loose and rubbed against the wire, pretty much tearing it to shreds). I looked and looked – and by looked, I mean I searched every nook and cranny of that coop. Then I realized the wire we have over one of the doors is loose. I figured a skunk got him, but the next day I looked again, and he was STILL missing. So, I gave him up for lost. Then yesterday evening, he reappeared in the coop – there’s no way he left then returned, because that loose wire was easy for a skunk to wiggle in and out of, but not so obvious for a chick to wiggle out and then BACK IN to the coop. So, I have no idea where this chick was hiding, but clearly, he is far cleverer than I am! That’s it for this week! Hope you enjoyed these photos!